Home » Antique » Antique Chinese porcelain. 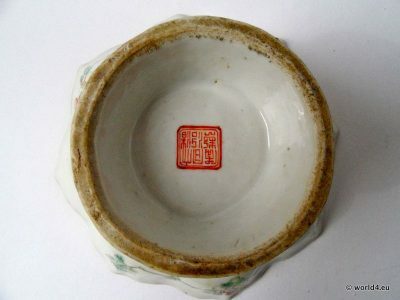 Tea Cup with chinese porcelain mark. An exceptionally beautiful antique teacup from China. Thick porcelain material. 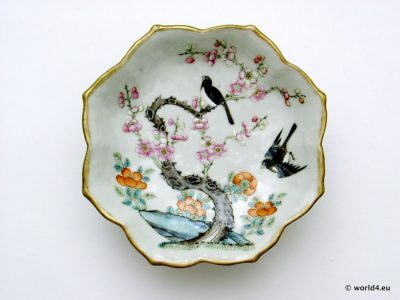 Artfully decorated with flowering branches and birds. Spring issue. The shape is inspired by one of a lotus flower. At the bottom there is an old Chinese porcelain manufacturer stamp. Next PostGerman Girl in 1940s.